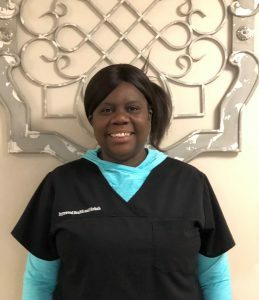 Florida Health Care Association is excited to recognize Jackie Spradley, Certified Nursing Assistant at Brynwood Health and Rehab Center, as the 2018 third-place winner of FHCA’s CNA Essay Contest. This year’s contest focused on the theme, “CNAs: Creating a Community of Caring” where participants were given six topics around which to write their essay – Dignity, Respect, Compassion, Listening, Communication or Standards of Care – and write about how these words translated into their daily practice of caring for residents. 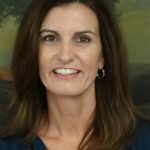 Jackie has been a CNA for 33 years and focused on “compassion” as the key to quality care for her residents. Read her submission below. Compassion about any person is a form of respect and caring. When collaborating about the nursing field and the passion that you should have to care for others plays a huge role in any caregiver’s life. When I was more active in providing excellent care to the elders, one of the things that carried me along the way was compassion. When you walk into a resident’s room, never think that they have no choice in their care. You should always include them in everything, down to asking them what would they like to put on for today. When the compassion settles into your heart, it becomes a routine because you will ask them their choices in what they would like to drink, eat and what time is best for them to get up. The deeper you look at it, it’s easy to get frustrated because a person must keep using the bathroom, and that’s something they have no control over. For the moment if you ask yourself, what if is it was me? What about the days when my stomach doesn’t feel the best, but I can walk myself to the bathroom. I can tell when I don’t feel good. What about the person I am providing care to, that can’t walk or talk for themselves? If I don’t have compassion for others, how could I ever love myself? Applying compassion to your life is the starting point that would take you to higher places in this world. Being compassionate goes all around the circle to: How would I want to feel if my loved one was being cared for by others? Such as when you arrive to the hospital, how do you want the nurses and doctors to see you? When you implement compassion, it describes your character and your passion for yourself and what you do for others. Compassion in the nursing field is far more important that anything you do because it’s about the residents and others who you are providing care to. When it’s about them, then we should always be motivated to provide excellent service to them. My main motto is what is I was in their state of mind or current situation? I would want compassion from them to help me cope and adapt to my current situation. Compassion is a vital point in the caregiver field, and should be applied daily in your task because everywhere we go, compassion should be considered. Florida’s long term care residents and patients. Jackie Spradley earned a prize of $200 for her influential essay thanks to the Florida Health Care Education and Development Foundation. We also would like to recognize Carlyn Registe of Rehab and Health Care Center of Tampa, Maletide Mirtil of Medicana Nursing and Rehab Center and Robin Coker of Douglas T. Jacobson State Veterans Home as our first-place, second-place and honorable mention winners, respectively. For more information about FHCA’s CNA Essay Contest and to read these award-winning entries, click here.